Looking for a unique and personal Christmas gift? Or perhaps you simply want to update your family portraits in the coming months? Our Christmas Voucher is the perfect opportunity. 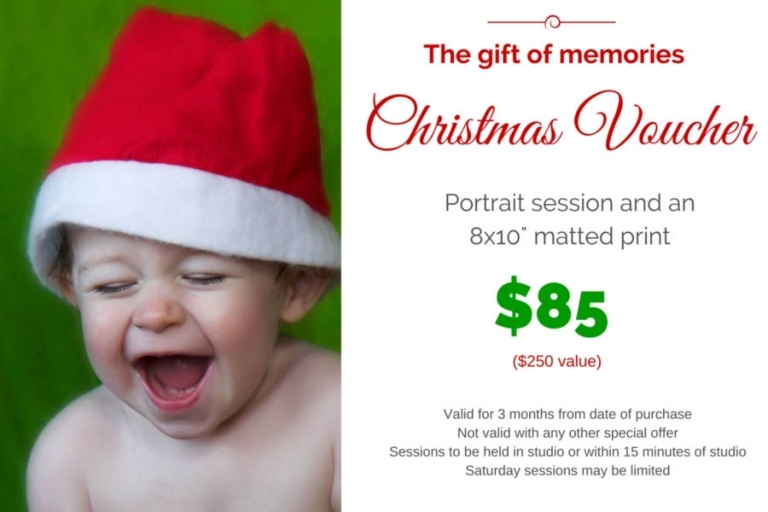 Included in the voucher is a full portrait session (either studio or park location) and a matted 8×10″ print. That’s $250 value for just $85. Vouchers are valid for 3 months from the date of purchase. Simply complete your details below and we will post your voucher directly to you.